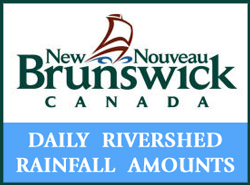 U.S. New Brunswick or Quebec Atlantic salmon fishing licenses are honored on the Restigouche River. 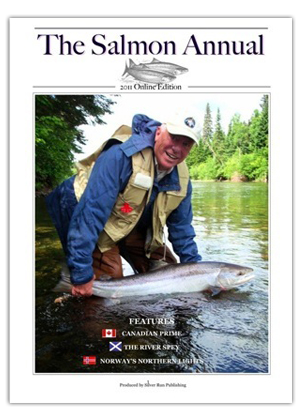 Quebec live release licenses are available at the lodge. Price is $40.00 paid in cash or Canadian. 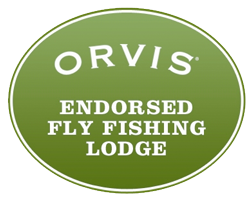 We recommend a tip of $50.00 for your guide, $25.00 for each guest when fishing shared rods (fishing with one guide and another fisherman) and $50.00 when fishing a single rod. The ladies that prepare, serve your meals and take care of the housekeeping we recommend a tip of $5.00 to $10.00 per girl. Tips should be paid in cash only. If you must pay by credit card or check a 20% charge will be added. We gladly accept cash in U.S. or Canadian currency or credit card payments for merchandise purchased and trip payments at the lodge. The RRL requests that studs not be worn in the canoes rubber boot slippers are provided for you convenience. The partners of the Restigouche River Lodge went through great pains deciding on our pet policy. After a thorough process of reviewing all the factors, the partners came to the conclusion that for the consideration of all guests it would be best the policy to not allow pets at the lodge. The lodge does not serve liquor however you are welcome to bring your choice of liquor, wine and beer. The RRL has most mixers under refrigeration. There is plenty of availability to purchase alcohol products locally in Matapedia or Campbellton. If bringing alcohol across the border check the regulations as there is a limit and being over the limit the duty and taxes render it not to your advantage. Remember to not drink and drive. Smoking at the Restigouche River Lodge is permitted on the grounds and on the veranda attached to the main lodge. No smoking in any of the camps and the main lodge. Enjoy your tobacco while respecting the other guests. Remember to check the regulations for crossing the border with tobacco products.